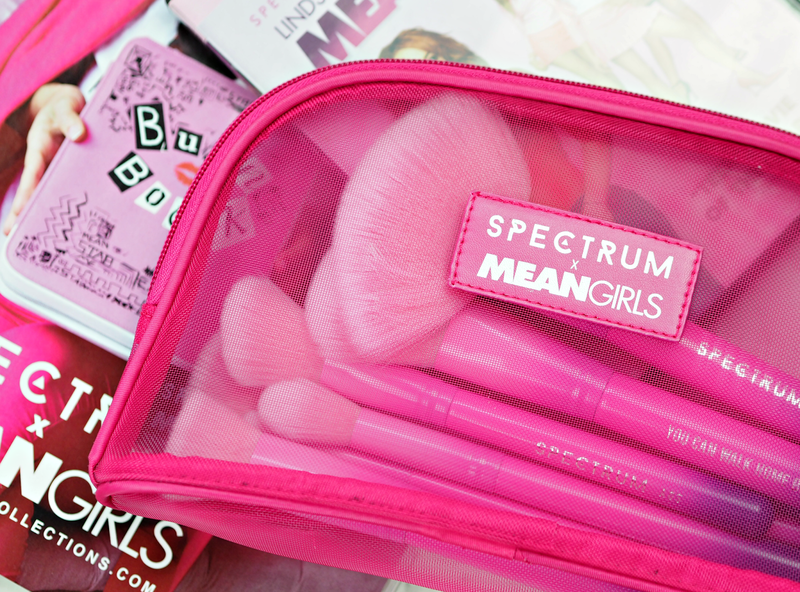 The Mean Girls x Spectrum Brush Collaboration Is The Hottest Launch Of 2017: Get The Lowdown! 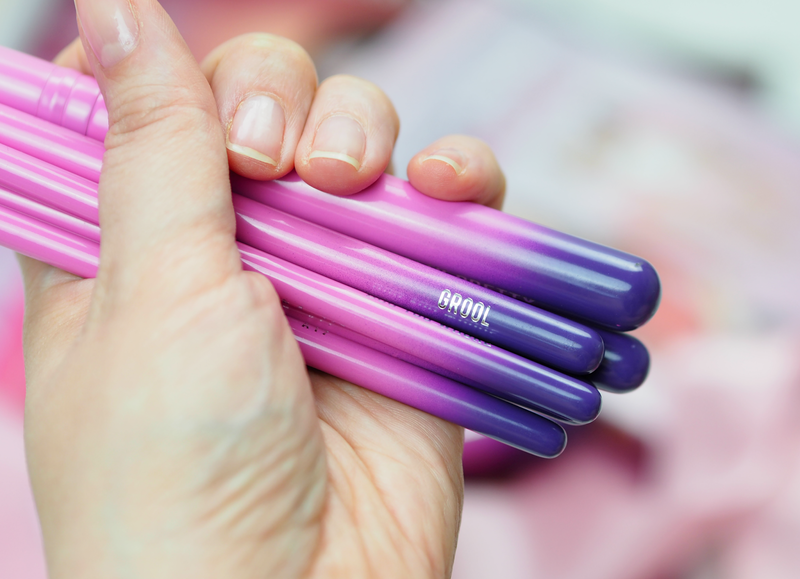 Makeup is so creative and fun, but most of the brushes that are out there are far too focused on being functional and don’t embrace any element of creativity; but that’s where Spectrum have always been different. 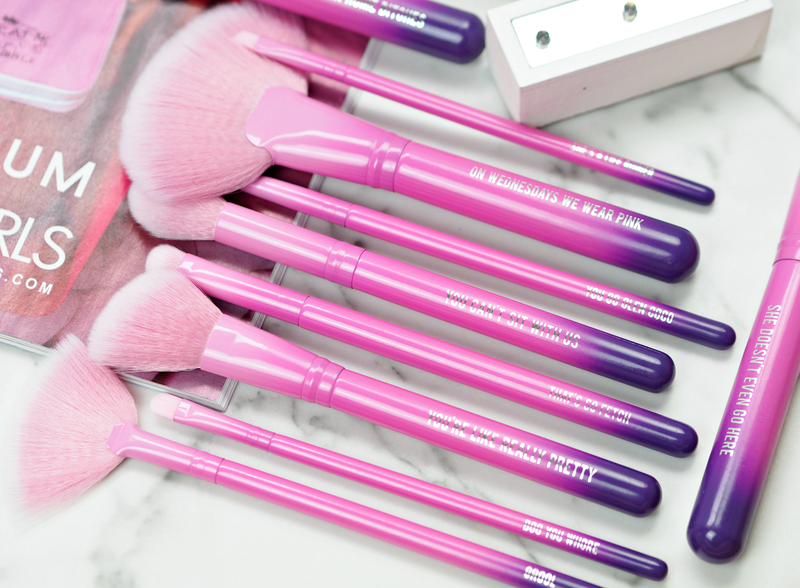 Their objective is to ensure their tools embody everything we love about the beauty industry, current trends and being a girl, without compromising on quality – the brushes definitely compete with any others I’ve tried over the years, while being 100% vegan and cruelty-free. You can tell that every element is well planned, thoroughly thought through and created with pure passion and vision… The Mean Girls collaboration takes the Spectrum obsession with unicorns, mermaids, pink, marble and ombre one step further and ties it all up with a very awesome ‘That’s So Fetch’ ribbon. 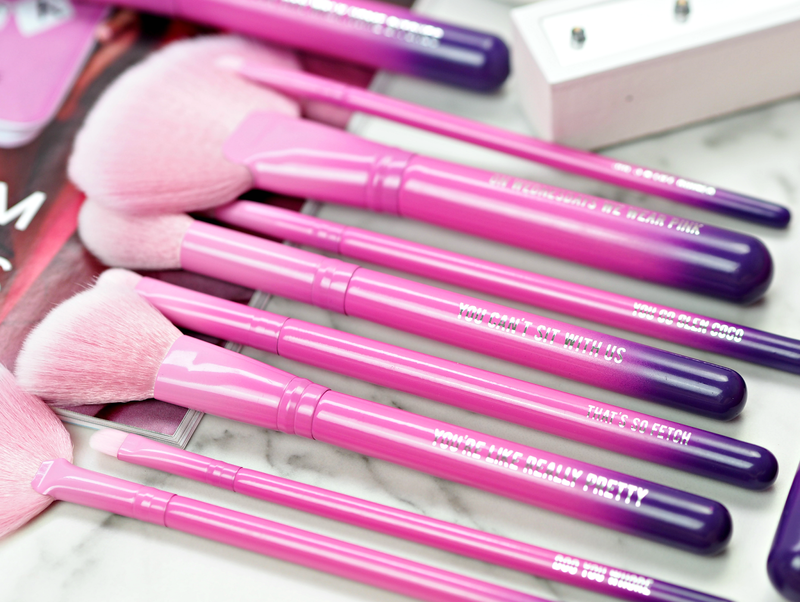 Available as a ten piece brush set, the new tools feature an ombre handle (using the colours of the Mean Girls logo natch!) 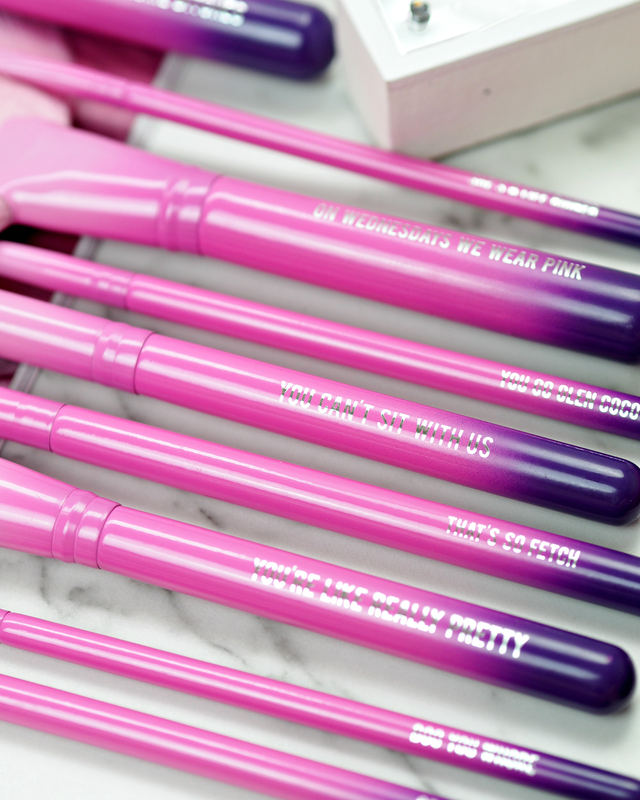 alongside a pink ferrule and tapered pink bristles, but its the iconic slogans adorning each brush that makes these truly covetable. There’s everything from ‘Grool’ and ‘On Wednesdays We Wear Pink’, to ‘You’re Like Really Pretty’ and ‘You Can’t Sit With Us’ alongside ‘You Go Glen Coco’ and ‘Boo You Whore’. I just can’t get enough! The ten-piece set is packaged in a pink cosmetic case that even features its own removable Burn Book key charm, but if you want to go all Jingle Bell Rock on yourself you can even get your own Burn Book bag to carry them in. Available seperately as a large bag or as part of a ten piece set with a small bag, I’ve no doubt these are going to sell out like hot cakes – so much so that there’s not even any stock available right now for me to take a photo of for you! I went to the launch of this a few weeks ago (read and watch Fashion For Lunch’s coverage here!) and it was clear that co-founders Sophie and Hannah had put so much blood, sweat and probably tears into creating something they were so proud of and knew would make so many Mean Girls fans so happy. It’s rare I get so excited about a product launch (I’ve been doing this a long time; I’m a bit jaded!) but I’m literally counting down the days until I can get my hands on my very own Burn Book. Yeah I’m 34 and probably got more grey hairs than Cady Heron’s mum, but that doesn’t mean I can’t get my sparkle on and enjoy a little retro appreciation for one of the greatest teen movies ever made. This set looks like so much fun!